The Rattan Napkin Ring Set of Four is sure to impress guests with its refreshing woven construction, and is a stylish addition to any table setting be it for barbecues, picnics or something more elegant. 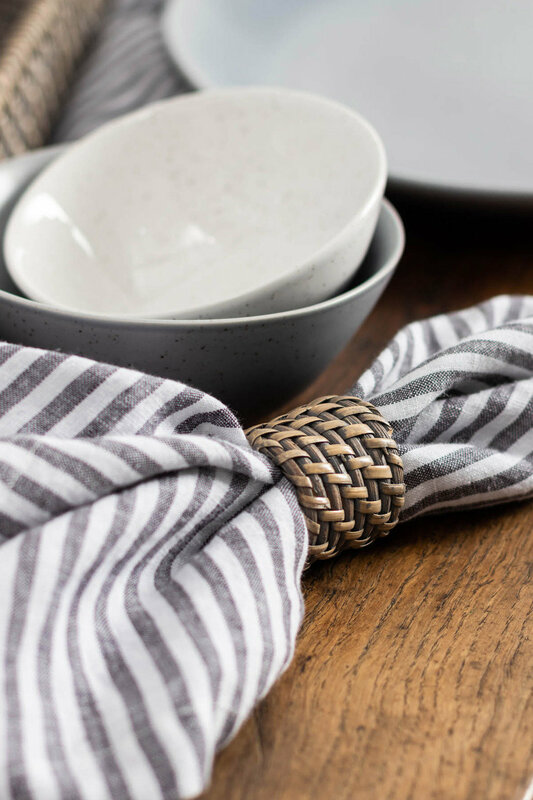 Crafted from 100% quality rattan, this woven set is lightweight, durable and comes in a timeless grey wash. 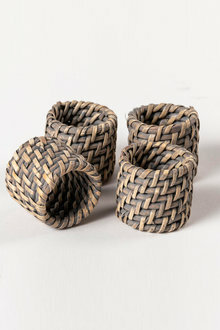 Pair it with Ezibuy's new range of stylish Rattan dining ware.